The Grouse Theater, Now Showing! It has taken a long time to get the resources together to finish up my home theater but I’ve finally got it done. 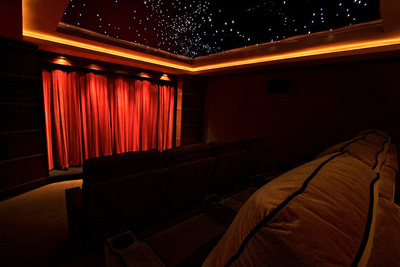 You can see more photos and read about the theater’s specs over at the Myro Control Home Theater Forum. If anyone is interested in any consulting, design, or purchasing home theater/automation products I’m a dealer for many lines. Feel free to contact me.